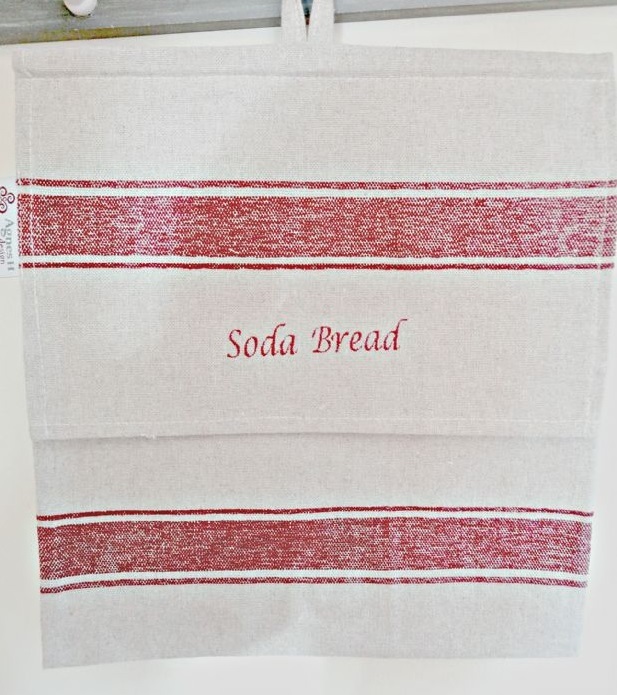 Our very original Embroidered Soda Bread Bag is made from a linen/ cotton mix beautifully textured. 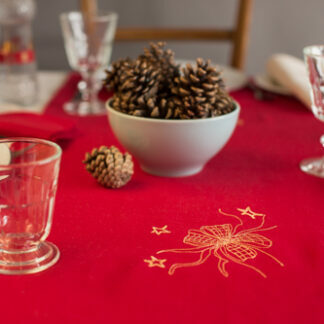 The antibacterial content to linen helps to preserve the bread in a traditional way. 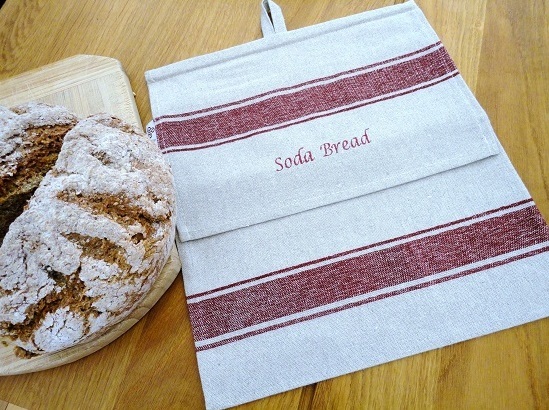 Our Soda Bread Bag measures 33cm x 29 cm and will accommodate a normal sized round soda bread loaf. 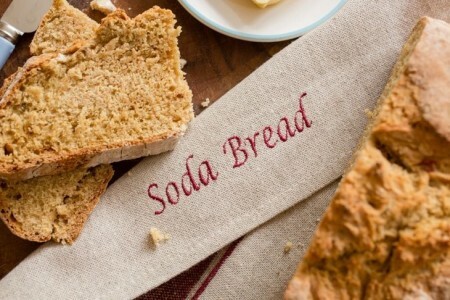 Fits standard round soda bread loaf perfectly. 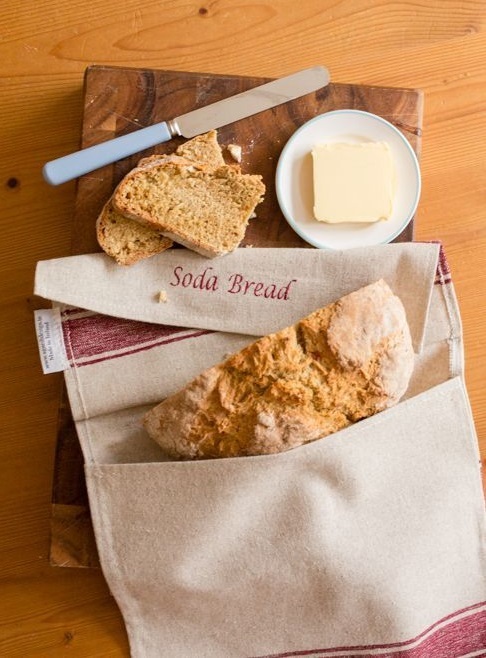 My new Soda Bread Bag is one of the nicest gifts I have received ever. 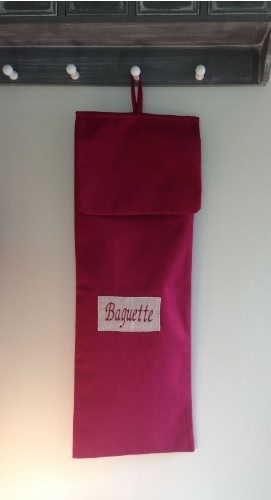 It not only looks great in my kitchen but it’s functional too. 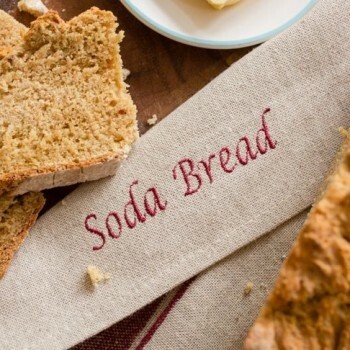 Linen is a natural fibre imbued with antibacterial properties and I am certain that is why my bread stays fresh for longer in my perfect linen Soda Bread Bag. 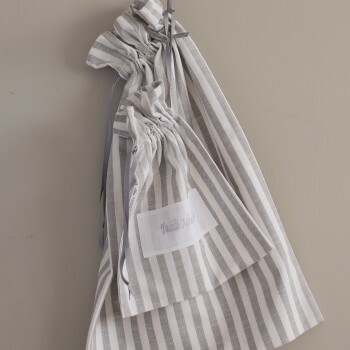 The Face Towel or Tuáillí Aghaidhe (face towels in Irish) bag in crisp grey and white. 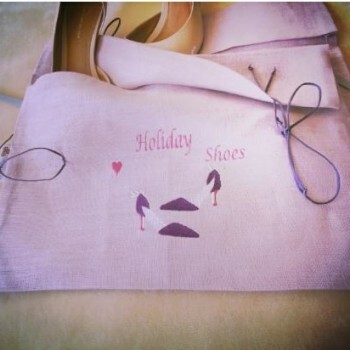 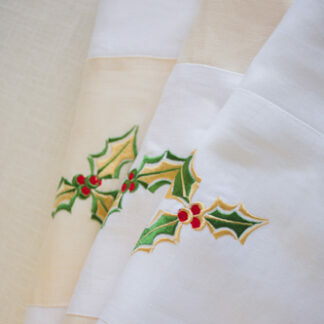 Sold out Holiday shoe bag without name.